PTI Chairman Imran Khan who keeps on targeting Nawaz Sharif and Shahbaz Sharif with his statements has once again said that Sharif Brothers will lose the elections of 2013f from PTI no matter what they do? Imran Khan was addressing in Multan in which he said we will not do alliance with any corrupt party and will face all the corrupt parties alone in elections of 2013. He said Allah gives chance to every nation to change their luck and now its chance for Pakistanis to change their luck and make a new Pakistan by voting for PTI. PTI Chief said we will end corruption and work for the progress of poor people by increasing employment. 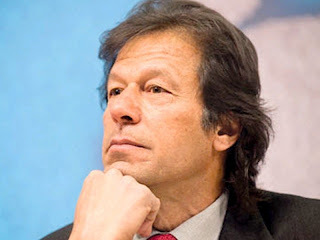 Imran targeted both Nawaz and Zardari in his speech and warned them both that their time is going to end soon. While talking about youth he said youngsters of Pakistan are our real power and if they came out to vote on election day then no on can stop us from bringing change in Pakistan. He declared laptop scheme a try to buy youth of Pakistan by Nawaz League.